Our Restaurants and Coffee Shops are unique meeting places, where people from all side of the city corner come together and joy with good food, good coffee, and loyal serving. Thus establishments are ideal spots in town where you can relax and unwind and feel the cultural and friendly atmosphere. It has become a popular place to dine for not only locals, but also all sorts of wonderful and colourful people from all over the world, wanting to tryout excellent Yeshi Buna Fast Food Meals and Coffee. 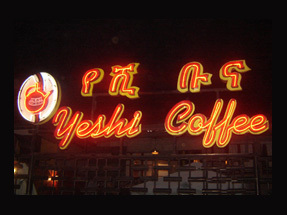 ...and much more with our excellent Yeshi Buna Coffee.